Comedy Works South at the Landmark presents Taylor Williamson April 18th through April 20th! Comedy Works South at the Landmark presents Pat McGann May 10th and May 11th! 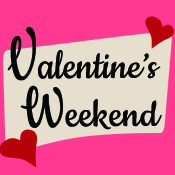 Comedy Works South at the Landmark presents Valentine’s Weekend with Nick Guerra on February 14-17!